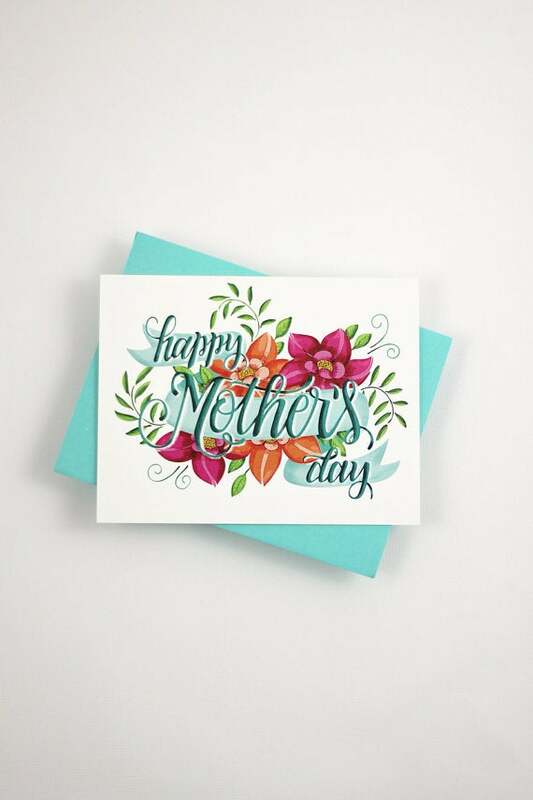 Finding mom the perfect card on Mother's Day is always a hard task but these 15 options make it easy to tell the special lady in your life just how much she means to you! 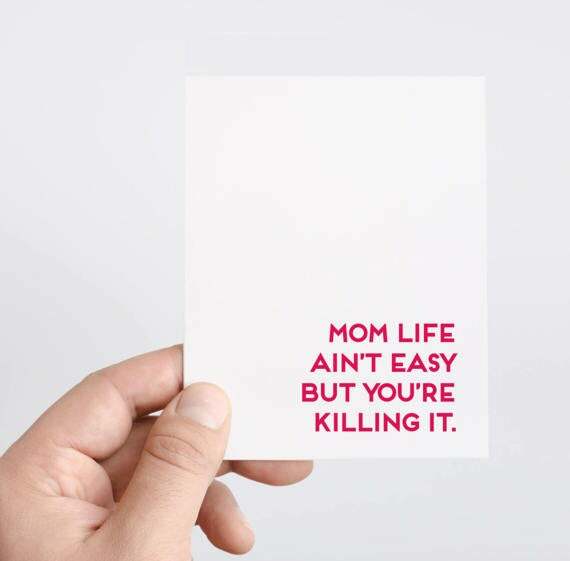 Tell your mom exactly how you feel with this card. 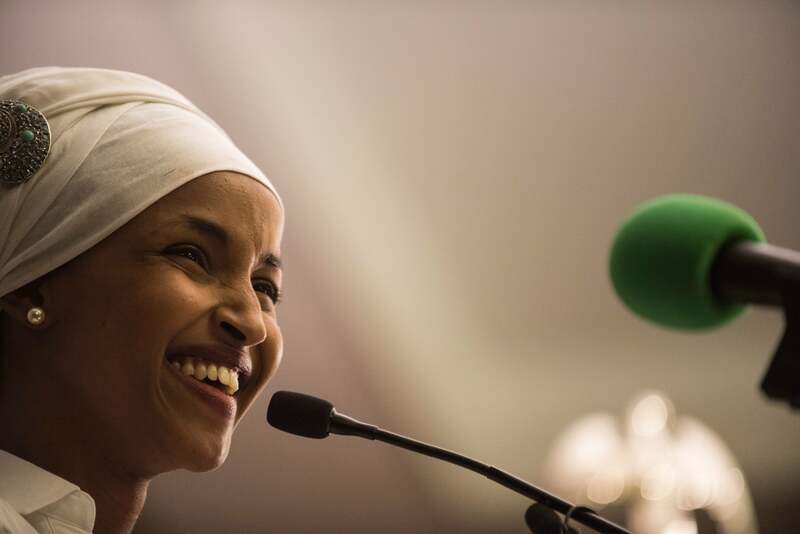 It's so beautiful, she'll want to keep it forever! available at Etsy	$4.50 Buy Now! 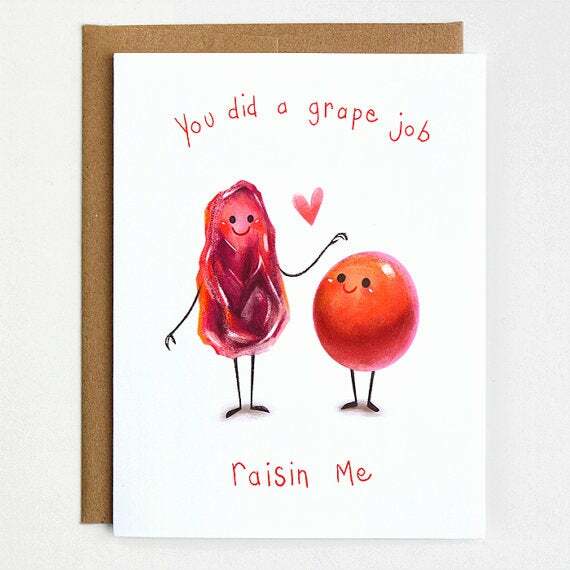 "You Did A Grape Job Raisin Me"
Add a little punny humor into your mom's life with this card. It's guaranteed to make her smile! 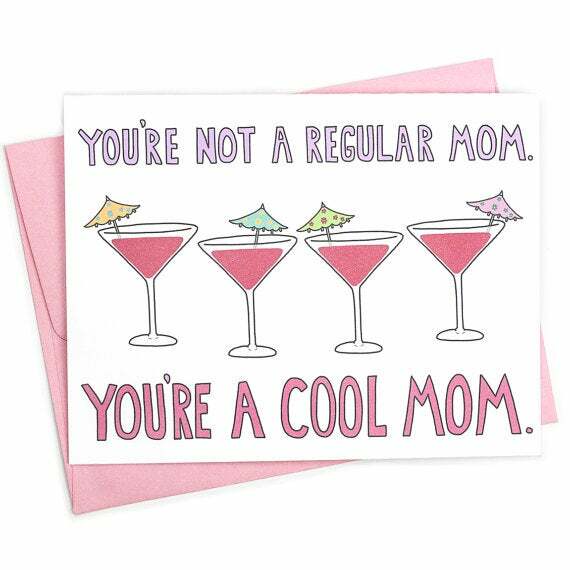 "You're Not A Regular Mom, You're A Cool Mom"
If your mom is the coolest one around and everyone knows it, this is the perfect card for her! 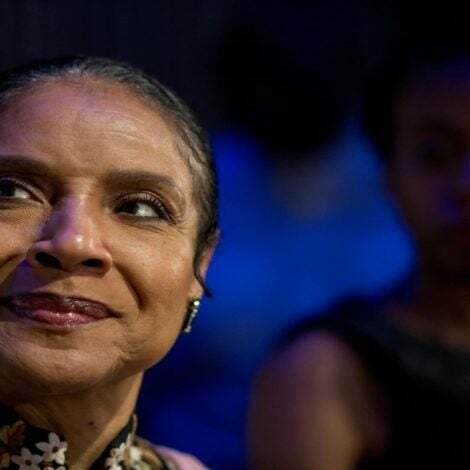 "Happy Mother's Day To The Sweetest Mother-In-Law In The World"
Some people are blessed with the best mother-in-laws in the world. 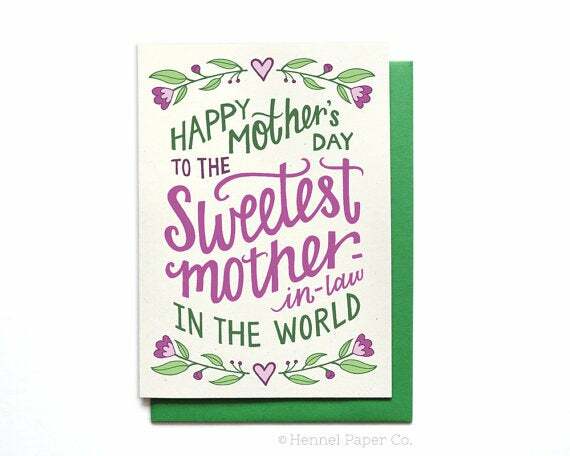 Tell her just how much that means with this card! 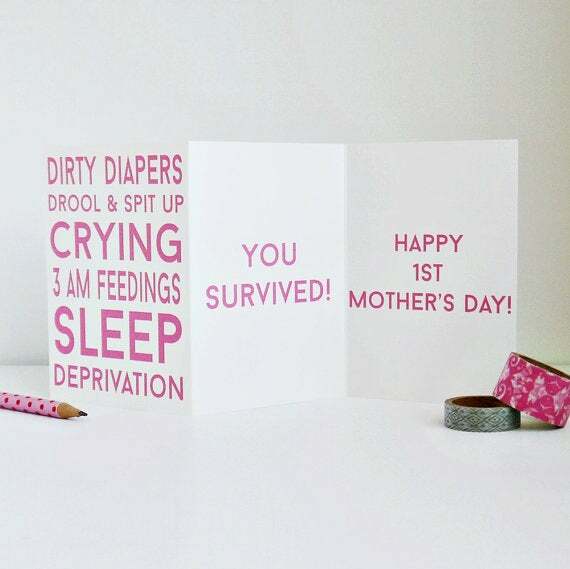 Help a new mom celebrate her very first Mother's Day with this card! available at Etsy	$5.00 Buy Now! "Mom, Isn't Life So Much More Fun Now That We Can Drink Wine Together?" 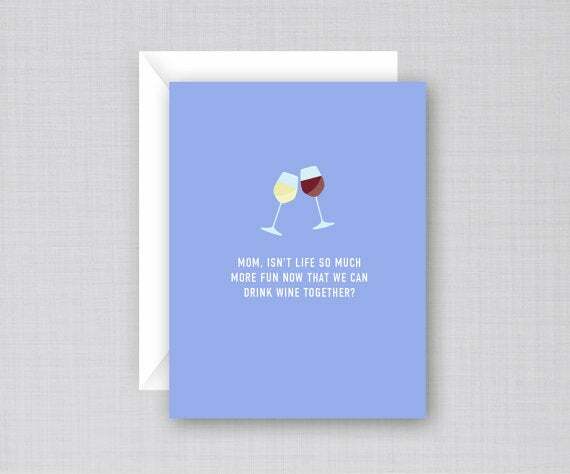 If you and your mom are #TGIT lovers, then you know this card is perfect for her! "You Were Right. There, I Said It. 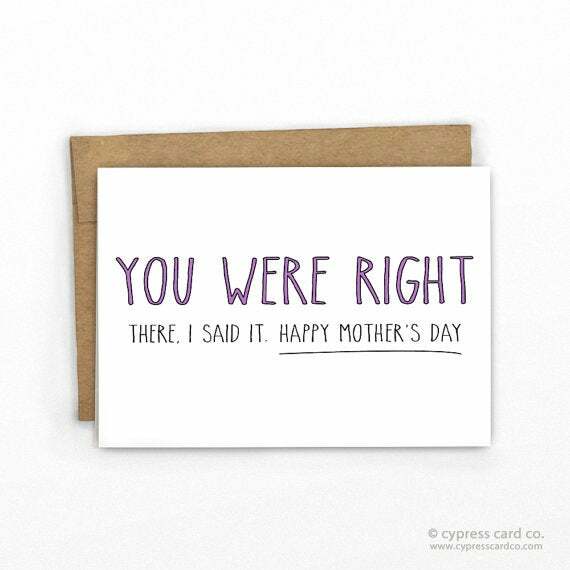 Happy Mother's Day"
No child ever wants to admit that their mom was right, but hey, Mother's Day is a good day to tell the truth, especially with this card! 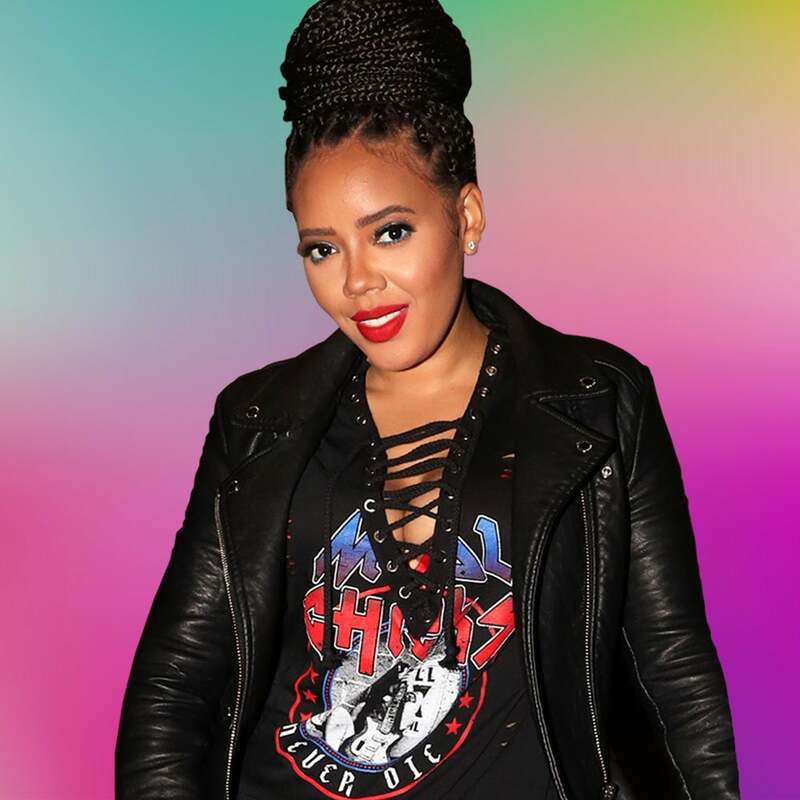 "Mom Life Ain't Always Easy But You're Killing It"
Life as a mom comes with it's ups and downs but if your mom is killing the game, let her know just how much! available at Etsy	$4.00 Buy Now! 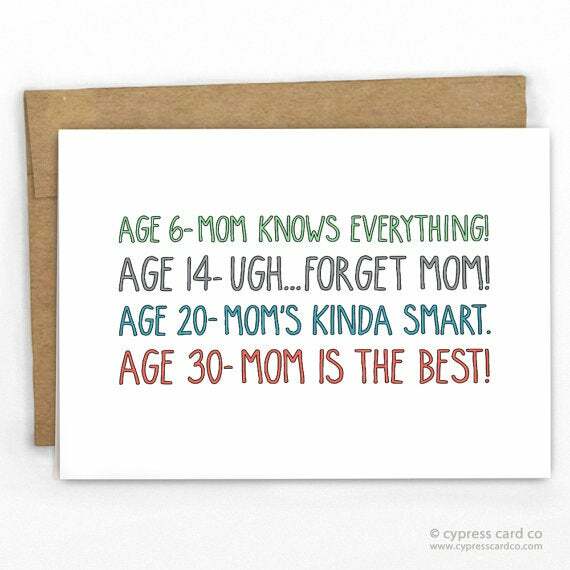 No one can deny that children go through stages when it comes to showing appreciation to mom but no matter the age, the love is always there and this card proves it! 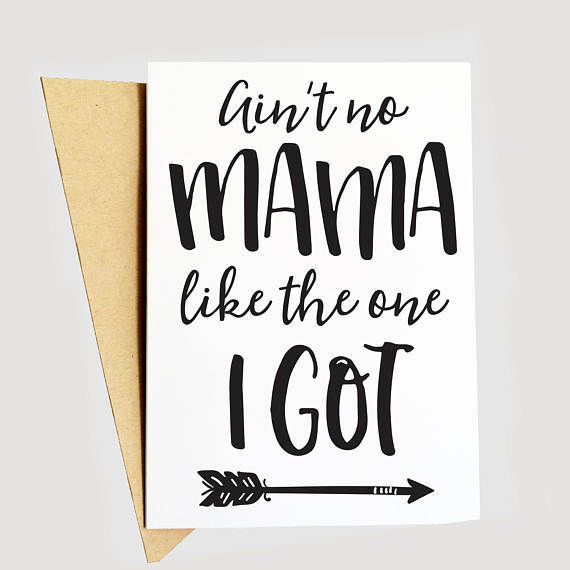 "Ain't No Mama Like The One I Got"
This card simply says it all! 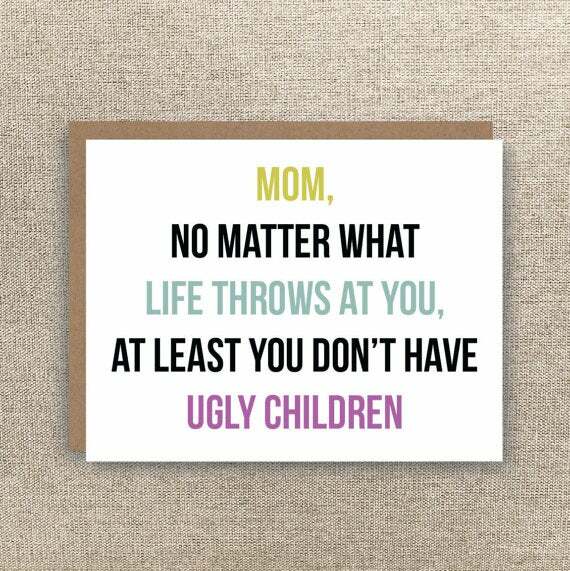 "Mom, No Matter What Life Throws At You, At Least You Don't Have Ugly Children"
Whether you have siblings or are an only child, this card is the funniest way to tell your mom she gave birth to perfection because duh! available at Etsy	$4.11 Buy Now! 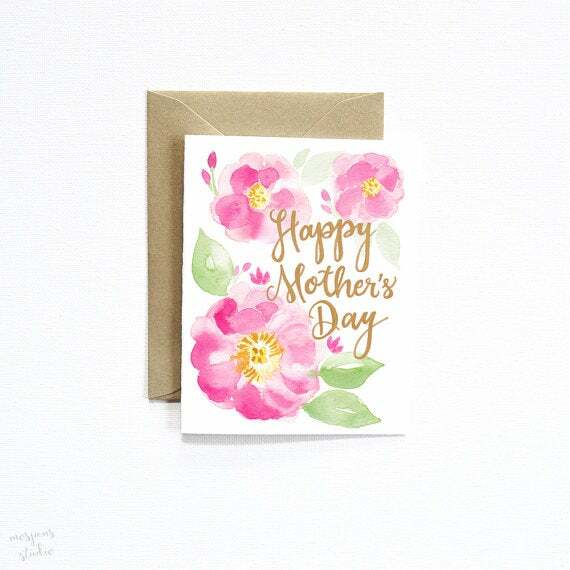 This card is a simple and sweet reminder of just how much love you have for your mom! 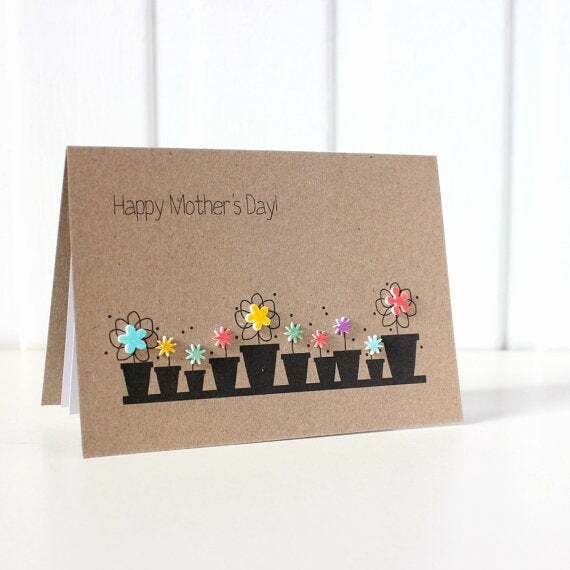 Give your mom the flowers she deserves--even if they are on a card--with this adorably illustrated garden inspired one! available at Etsy	$5.13 Buy Now! 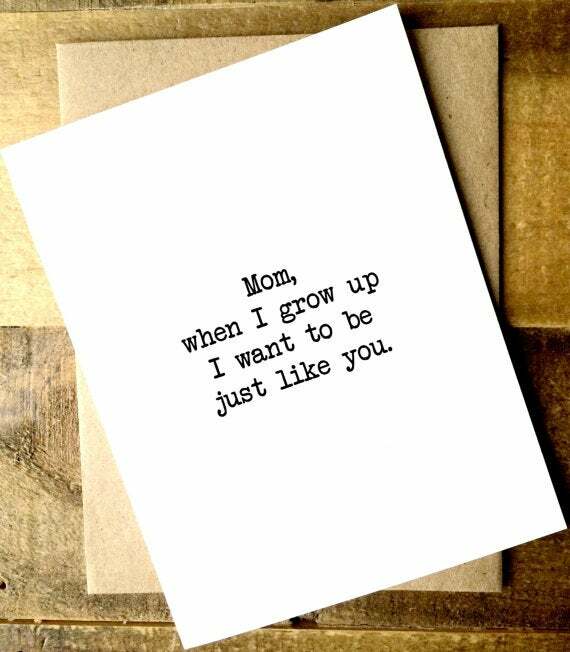 "Mom, When I Grow Up I Want To Be Just Like You"
Add a sweet personal message to this card and let your mom know just how much she means to you! available at Etsy	$5.25 Buy Now! 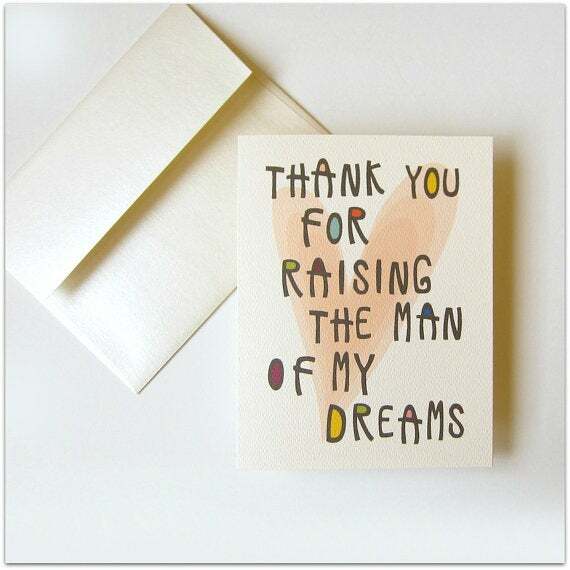 "Thanks For Raising The Man of My Dreams"
Show your mother-in-law some love on Mother's Day telling her just how much you love her for raising your significant other with this card.